The Xiaomi Mi Mix is a "concept" phone that you will actually be able to buy from November 4, provided you live in China. The ¥3,499/¥3,999 ($515/590 approximately) price tags seem almost underpriced, considering the kind of hardware and innovation it brings with it. The 6.4-inch Full HD display in front of the device nearly has no bezel with a screen-to-body ratio of 91.3%, something that was only a concept till now. The only bezel it actually has is at the bottom of the display, which houses an 8-mp selfie cam. However, it would be unjust to judge the Mi Mix based solely on the beautiful all screen display, without taking into consideration the fact that it has removed most traditional sensors, as well as the microphone for phone calls! Yes, the Mi Mix senses proximity via ultrasound and a piezoelectric speaker does the work of the microphone via utilizing the metal frame; which in itself sounds like some crazy piece of science fiction tech to us! The futuristic design was apparently achieved by the engineers at Xiaomi by working with the French designer Philippe Starck. The side buttons and the back of the Mix are ceramic and the display is curved near the corners to add to that full-screen look which it sports so flawlessly. Just in case the innovations seemed insufficient, note that the Mi Mix is also supported by the Qualcomm Snapdragon 821 SoC, 4GB/6GB RAM, 128GB/256GB internal storage, a 4,400mAh battery, a 16-mp rear camera, an 8-mp front camera and even a 3.5mm jack. 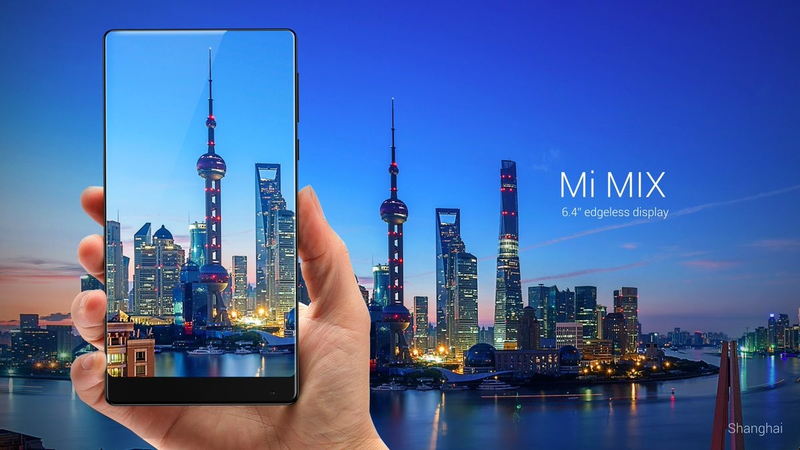 To be honest, we are blown away by the Mi Mix and what it promises to bring to the table. Samsung's upcoming Galaxy X is the supposed foldable smartphone that never arrived even after years of speculations and predictions. However, the era of foldable smartphones is finally here, thanks to ZTE's brand new experimental smartphone, the Axon M.
The Axon M sports two 5.2-inch displays of identical properties, which can be folded in the middle to make for a more portable package. The phone still feels quite bulky due to the thickness, but it's the world's first phone which makes carrying around a potentially 10.4-inch display in your pocket, a feasible option. Apart from the dual 1080p 5.2-inch LCD FHQ displays, it also sports a 2.15 GHz quad-core Qualcomm Snapdragon 821 SoC, 4GB of RAM, a single 20-megapixel camera with dual LED flash and dual image stabilization and 64GB of internal storage with micro-SD card slot. In the US, the ZTE Axon M will be available exclusively on AT&T for roughly $699. Check out the video by The Verge to see the ZTE Axon M in action. Edge variant of the Galaxy S6 to be called "Samsung Galaxy S Edge"
We all know that Samsung Galaxy S6 will be released this year (probably March-April). So far Samsung hasn't confirmed the launch of the SGS6, let alone that there's going to be a version of it with a curved edge to match the duality of the Note devices. This curved version will be named "Samsung Galaxy S Egde". The source of the "S Edge" name is from a placeholder buried deep within the Vodafone.nl website, where Samsung Galaxy S Edge gets a mention. Would Samsung drop the numbering from the name? Yes, it probably would. The Samsung Galaxy Note Edge did exactly that and there's the feeling that the curved-edged devices are much more experimental than the mainstream numbered device, more distinctive in their own right. Stay Tuned for Samsung's MWC 2015 event on March! 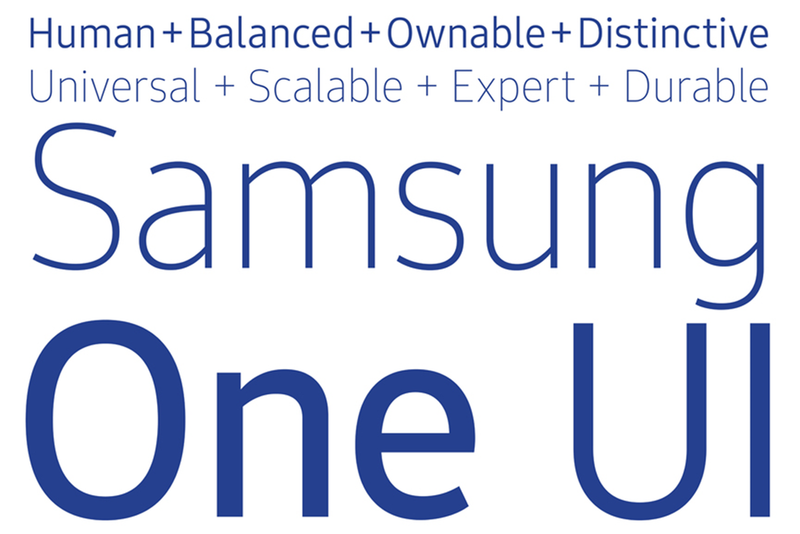 Samsung has now made the SamsungOne official and joins the list of companies with their own unique font, with that step. In case you are wondering what some of those companies are, how about Google and Apple for example? The SamsungOne typeface has been designed to cover an astonishing 400 languages, 26 writing systems and more than 25K glyphs. Now that's what we call a global company! As the name suggests, SamsungOne is designed to create a visual sense of universal unity, irrespective of the language on which it is applied. Keep in mind that SamsungOne is designed to not only be featured in smartphones, but across all the products that they manufacture and sell, including television sets, microwave ovens, refrigerators and the like. The five typographical principles which they followed while developing the typeface in collaboration with Brody Associates are Humanist, Distinctive, Expert, Universal and Legible. Although we are not sure when we will see Samsung start using SamsungOne, take a look at the images for a preview. We also have a small video for you from Samsung Newsroom to explain the story behind the concept. 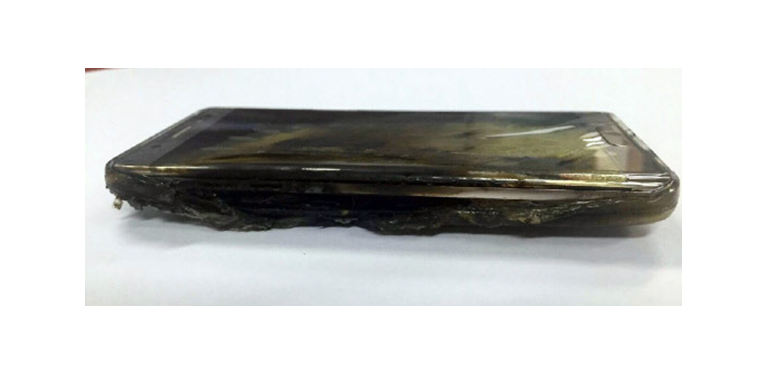 Samsung has just made it official that the exploding Galaxy Note 7 smartphones are a real problem which according to their research and reports, may happen to one in every 42,000 units. Samsung Mobiles president Koh also stated that they have so far found 35 incidents around the world in which the Note 7 had shown signs of excessive heating, catching fire or even exploding while being charged. In light of these incidents, the smartphone will be recalled all around the world as a safety measure and as expected, sales have stopped for now as well. Samsung hopes to replace all the Note 7 smartphones to their customers in roughly two week's time. The battery related problem will perhaps be solved by the South Korean giant over time, but a massive damage has already been done. The exploding smartphones have not only put a blemish on an otherwise perfect series of Note devices, but the bad reputation will definitely affect the sales of Samsung smartphones in general, especially when Apple is about to unveil the iPhone 7 this month. 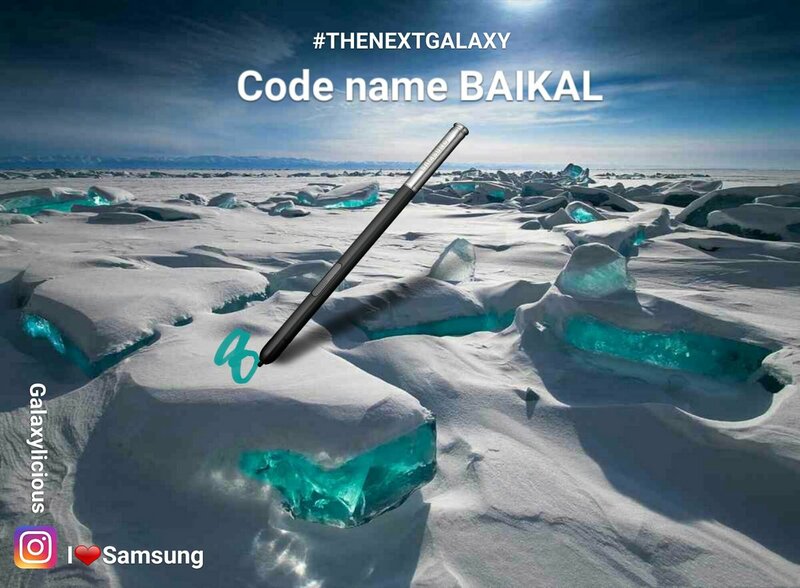 According to a recent post by Ice universe on Twitter, Samsung has the code name "Baikal" in mind for the next iteration of the Galaxy Note 8, which will be launched later this year. If you are wondering why Samsung may choose to name its flagship smartphone after the deepest lake in the world, then we can't really help you as we have no idea either! Although Samsung had earlier confirmed that the Galaxy Note 8 is coming in 2017, many experts were of the opinion that Samsung may still change or alter the name ever so slightly to distinguish it from the disastrous Galaxy Note 7. As far as the specs are concerned, it's still too early to be sure about anything. Nevertheless, apart from the obvious S-pen stylus, the device is rumoured to feature Samsung's first 4K mobile display, its AI powered voice assistant (Bixby/Hello) and an iris scanner. 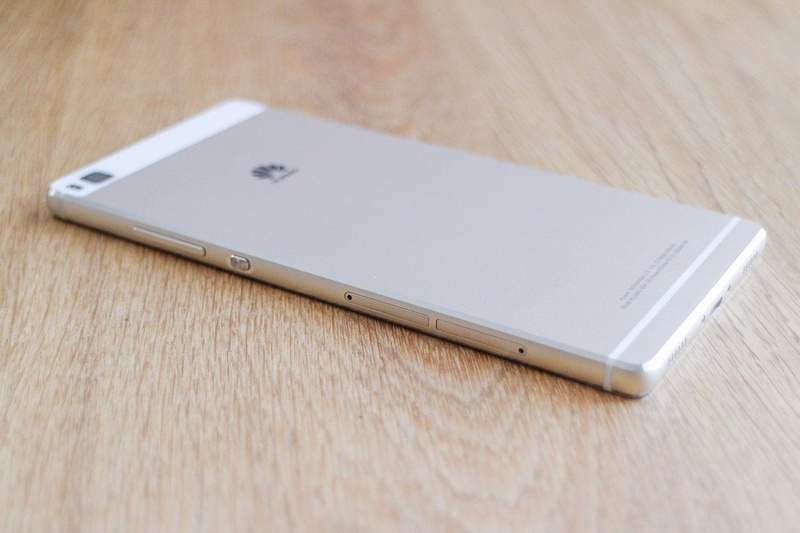 Rumors indicate that it could also be featuring 8GB of RAM, but 6GB RAM seems much more plausible to be honest. Then again, the ZenFone AR did already launch with 8 gigs of RAM, so you may never know! Android TV is coming this fall and manufacturers are preparing their upcoming products to conquer people's living rooms. Asus is one of them, and leaked benchmarks of this upcomng device that will be called "Google Nexus Player" shows the company is testing its first Android TV set-top box. The unannounced set-top box runs Android L and packs a quad-core 1.83GHz Intel x86 CPU and a PowerVR Rogue G6430 GPU complete with 1GB of RAM and 8GB of internal storage. The system has undergone tests on 23.7" and 31.9" displays, both of 1080p resolution. While seeing an Intel CPU inside an Android TV set-top box is a bit unexpected, it's certainly cool to see Intel stepping up its game in the Android world. 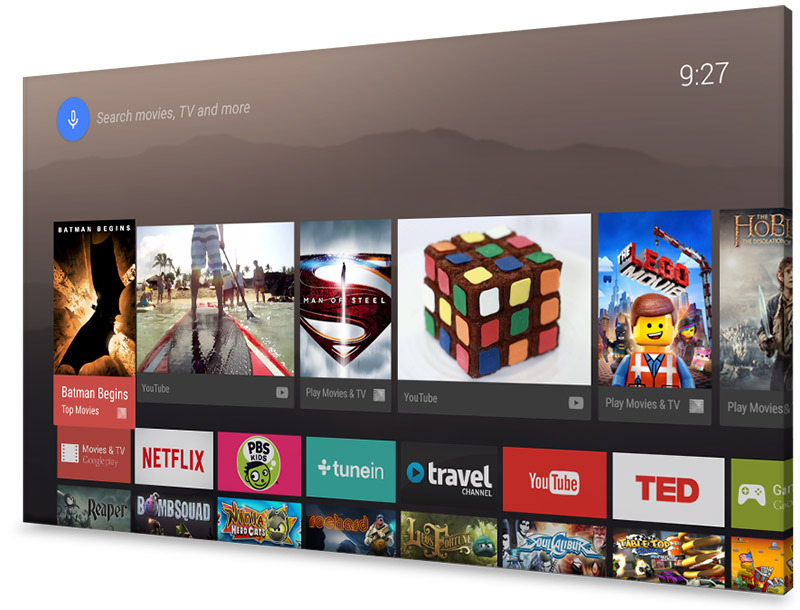 Google says Qualcomm, Nvidia, MediaTek and Marvell chips will also get their primetime in Android TV products. SD cards Technology is improving year after year. Toshiba has just unveiled that it will be releasing a New SD card with built-in Wireless connectivity during this year (2015). 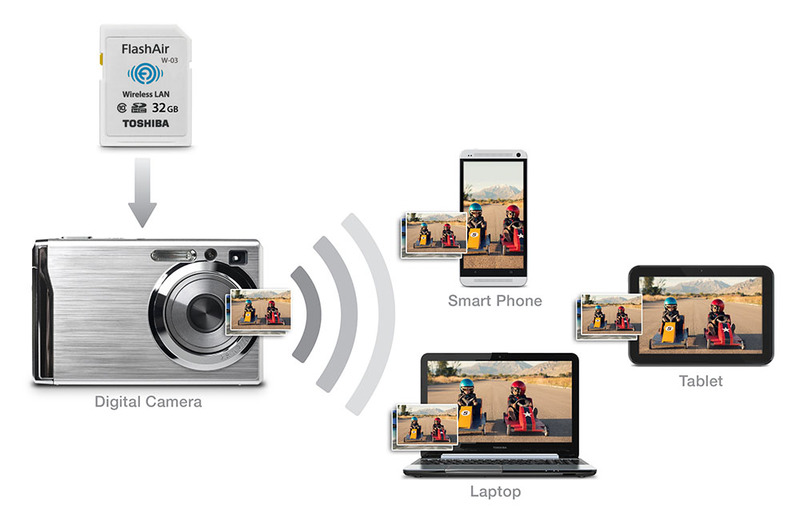 These new SD cards is named FlashAir III, and will be available in WiFi and NFC variants both with multiple sizes each. The first SD card model is an NFC-enable SD Card, apparently it's been added so you can see up to 16 picture thumbnails from the card on your Android smartphone with just a tap. Also, you'll also find out how much storage space is left on the card. The Toshiba FlashAir III model creates its own Wi-Fi network, which you can connect to in order to copy and share what's on it. It apparently comes with "enhanced photo sharing and management features". The card has a neat pass-through feature that lets you access its contents and the Internet (through a Wi-Fi router) at the same time. This SD card will be out in March. If you want 16GB of storage, you'll need to pay $79.99, while double that amount could be yours for $99.99. 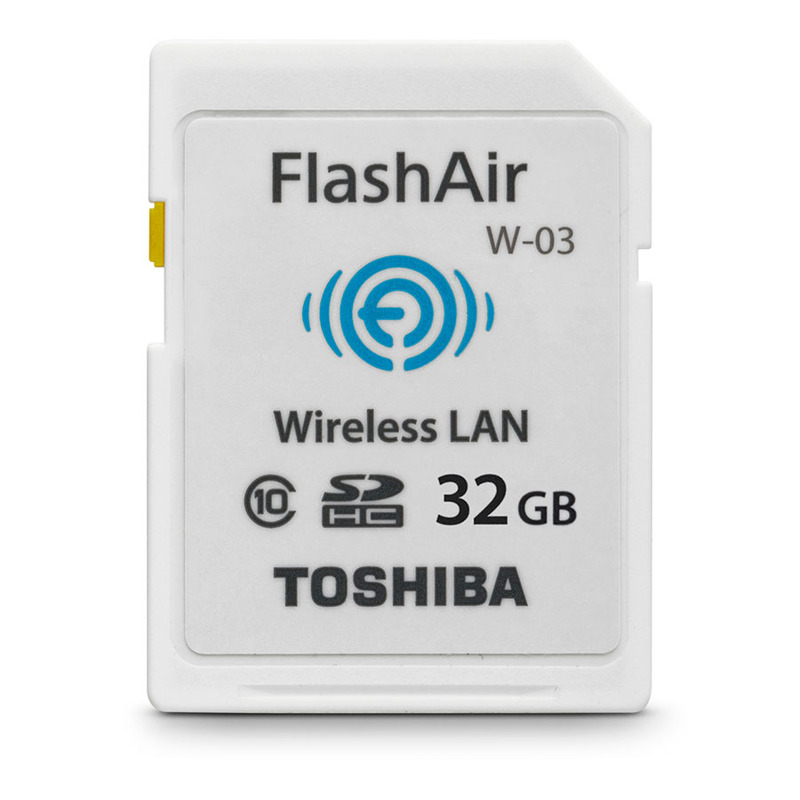 The Toshiba FlashAir III Wireless SD Card will be available for purchase in March,2015 at various retailers and on Toshiba US website for $79.99 for 16GB and $99.99 for 32GB. 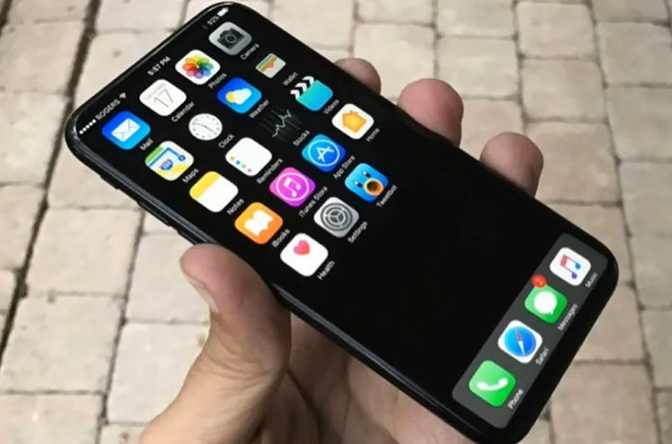 If you have been following the latest buzz around the upcoming iPhones then you probably already know that they are coming out this Tuesday, which is September 12. As per reliable sources, Apple's brand new headquarter will be the venue of the unveiling for more than just two phones this year. The iPhone X will of course be the one with the borderless OLED display, if the leaks and rumors are to be believed of course. Although, at this point, it's only a matter of official confirmation because all but the actual handset has been revealed. The question is, will you be picking up an iPhone X for $1,000+ or will the iPhone 8 or iPhone Plus be enough for you? We reported before that Google is holding an important event on September,29th in San Francisco to announce TWO new Nexus flagships (5" and 6"). According to some new information leaked around the web, the two devices will be respectively called LG Nexus 5X and Huawei Nexus 6P. As we know by now, the two phones will have 5-inch and 6-inch displays and will be manufactured by LG and Huawei, respectively. The Nexus 5X name had already been floating around for a while and now we also know that the bigger device might be called 6P. We have no information about what the "P" stands for... The hardware specs is still not fully confirmed but SD 810 and 3GB Ram are for sure included on both devices. We are only 2 weeks away from the Big event that will also feature the announcement of the official Android 6.0 Marshmallow final release.